While the 19th season of The Bachelor may have ended, we’re still drooling over the dreamiest bachelors in Hollywood. Even though a few of these celebs may be dating women, they’re fair game if there’s no ring! While many of these single celebrity men may be unattainable for the average person, it’s still fun to fantasize about having a chance with one of these hunks. Check out Cupid’s list of the hottest single celebrities of 2015! 1. 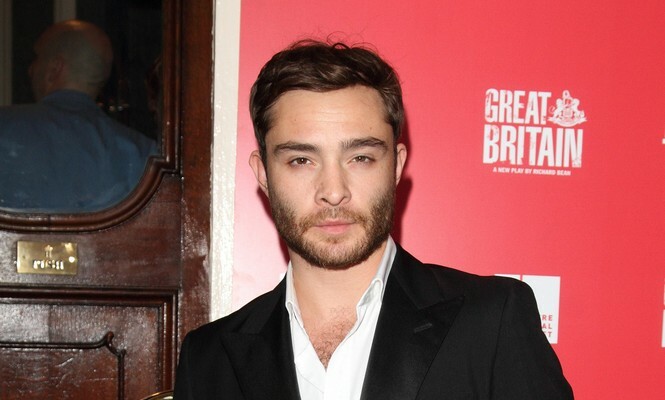 Ed Westwick: Who doesn’t love Chuck Bass? This Gossip Girl star is on the rebound after a split with co-star Jessica Szohr. He’s been spotted around town with a few mysterious brunettes, but like many single celebrities, Westwick is keeping quiet on any serious relationship and love in his life. 2. Jake Gyllenhaal: This handsome celeb has been breaking hearts since the early 2000s. Even though no official announcement has been made, there are rumors circulating that he and his “Constellations” co-star Ruth Wilson are romantically involved. Plus, he was recently spotted with Rachel McAdams having a cozy dinner. We won’t believe either one of these until he says so himself! 3. Prince Harry: The notorious party boy is known for causing trouble, but as of now, there’s no serious relationship in his life. Among all the single celebrities on this list, Prince Harry may be the least likely to settle down soon, which we’re sure the Queen isn’t too happy about. 4. Leonardo DiCaprio: Leo is one of the most infamous single celebrity men in Hollywood. News of his breakup from German model Toni Garrn came around the time he was seen leaving a club with 20 models in tow. It sounds like this celeb isn’t looking to settle down any time soon, either! 5. Ansel Elgort: A young woman his age was noticeably missing from his arm last month when this The Fault in Our Stars cutie took his mom as his date to the Oscars. Although he apparently has recently gotten back together with his high school girlfriend, we’re not giving up on dreaming about this celeb! Which of the hottest bachelors of Hollywood did we miss? Let us know in the comments section below!